Why Joe Biden flipped on Afghanistan. With the 2008 presidential campaign in full swing two summers ago, Joe Biden, then making his own bid for the White House, ridiculed Barack Obama on a momentous issue: Afghanistan. The occasion was an August 2007 speech by Obama outlining his plans to fight Al Qaeda, which included sending an influx of American troops and aid to the country. Later that day, Biden issued a snarky press release gloating about his own extensive record of pushing similar policies, and which cast Obama as a naïve newcomer. The release noted that the Delaware senator had co-authored the first law authorizing reconstruction aid to the country after the 2001 U.S. invasion and that Biden had recently been pushing both for more money and for more boots on the ground. "Biden Campaign Congratulates Sen. Obama for Johnny Come Lately Position," the release quipped. Biden's pique was easy to understand. From his perch as chairman of the Senate Foreign Relations Committee, he had long cautioned the Bush administration against giving short shrift to Afghanistan. Even before Obama announced his run for president, Biden was warning that Afghanistan, not Iraq, was the "central front" in the war against Al Qaeda, requiring a major U.S. commitment. 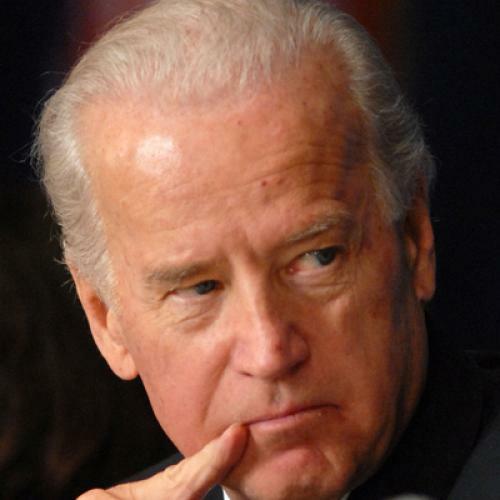 "Whatever it takes, we should do it," Biden said in February 2002. "History will judge us harshly if we allow the hope of a liberated Afghanistan to evaporate because we failed to stay the course." But, now that Biden addresses Obama not as Johnny but as "Mr. President," things have changed. In internal White House Afghanistan policy debates, Biden has been a voice of skepticism. When Obama's national security team first considered a troop increase for Afghanistan in March, Biden circulated a document that outlined alternatives to a major escalation. Although the White House won't provide precise details, aides acknowledge that Biden urged the president to consider a narrow counterterrorism mission, heavy on Special Forces and Predator drone strikes, which would require far less manpower than the military was seeking. Obama ultimately sided with other administration officials arguing for a larger counterinsurgency operation, and approved 4,000 more troops on the heels of the 17,000 he'd dispatched in February. But Biden continues to argue that it may not be possible to defeat the Taliban and stabilize Afghanistan at a reasonable cost. His newfound skepticism is not only a story about dashed hopes in Afghanistan. It is also a story of how a leading liberal hawk found realism in the Hindu Kush. During the 1990s, Joe Biden emerged as one of the Democratic Party's chief foreign policy spokesmen, a strong proponent of the idea that U.S. military power could be used unapologetically for altruistic purposes. He was a strong advocate for military intervention in the Balkans, for instance, and, despite some doubts, he supported the 2002 resolution authorizing the use of military force against Iraq and even defended the wisdom of the invasion for several years. "There are some really bright guys and women in my party who underestimate the transformative capability of military power, when coupled with a rational policy that is both preventative and nation-building in nature," Biden told The New Yorker in March of 2005. But the transformative power of military-backed nation-building is just what Biden is now coming to doubt in Afghanistan. People familiar with Biden's shift in thinking say it has many roots. But none is more apparent or vivid than his disillusionment with the Afghan president, Hamid Karzai. Soon after Karzai took office in December 2001, Biden traveled to Kabul and, over lunch on two successive days, clicked with the new leader. "They took to each other very well," says a former Biden aide. Impressed, Biden argued that Karzai deserved America's full support, even as Bush officials questioned whether the Afghan was capable of establishing a strong central government. Within a couple of years, however, Biden was criticizing Karzai's candor and leadership. Nothing shook his faith quite as much as what you might call the Karzai dinners. The first occurred in February 2008, during a fact-finding trip to Afghanistan that Biden took with fellow senators John Kerry and Chuck Hagel. Dining on platters of rice and lamb at the heavily fortified presidential palace in Kabul, Biden and his colleagues grilled Karzai about reports of corruption and the growing opium trade in the country, which the president disingenuously denied. An increasingly impatient Biden challenged Karzai's assertions until he lost his temper. Biden finally stood up and threw down his napkin, declaring, "This meeting is over," before he marched out of the room with Hagel and Kerry. It was a similar story nearly a year later. As Obama prepared to assume the presidency in January, he dispatched Biden on a regional fact-finding trip. Again Biden dined with Karzai, and, again, the meeting was contentious. Reiterating his prior complaints about corruption, Biden warned Karzai that the Bush administration's kid-glove treatment was over; the new team would demand more of him. Biden is also likely moved by the doubts of influential friends and advisers. The former Biden aide notes that the vice president carefully considers the opinions of the now-retired Hagel, who, like Biden, is a longtime multilateralist. "They share a similar worldview," says the former aide. Hagel, a veteran of the Vietnam war, has recently likened Afghanistan to that conflict. In a Washington Post op-ed earlier this month, Hagel counseled Obama to listen to phone recordings of Lyndon Johnson telling Senator Richard Russell that he knew Vietnam could not be won but that he didn't want to be the first president to lose a war. Soon after Biden returned to Washington from his January visit to Kabul, the Obama team began its debate on Afghanistan. Some powerful officials--including Secretary of State Hillary Clinton and Afghanistan point man Richard Holbrooke--argued that the president should approve a substantial troop increase that would enable a broad counterinsurgency campaign to defeat the Taliban and stabilize the country. Biden emerged as a leading voice of doubt. Even if such a project could succeed, he argued, it wasn't clear that the massive cost--perhaps hundreds of billions of dollars and untold human lives--would be justified. Biden also worries about politics. In private, his friends in Congress have been forcefully reiterating their publicly expressed doubts about the prospects for success in Afghanistan. As one who has seen nearly 20 election cycles since he came to Washington in 1973, Biden has taken care to remind administration officials that the politics of foreign policy can't be ignored, and that Capitol Hill opinions will invariably shape war policy. Biden's doubts about Afghanistan have been leaking to the press for months. Although his staff denies pushing such stories, they do serve a p.r. purpose for a president redefining the way U.S. foreign policy is crafted in the post-Bush era. Biden is cast here as an anti-Cheney--a devil's advocate in policy debates who tries to ensure that hard questions don't go overlooked. "He has long seen his role, and the president values it, to play the skeptic," says one senior White House aide. When it comes to Afghanistan, Biden's skepticism represents a surprising departure from the ambitious belief in American power he honed during the 1990s. While many other Democrats have recently adopted a more cautious, realist worldview, it's clear that the likes of Clinton and Holbrooke remain confident that the United States can prevail in Afghanistan at an acceptable cost. Clinton may even see the conflict in moral terms: Shortly after the U.S. invasion in 2001, she publicly argued that the United States should democratize Afghanistan in part to liberate its oppressed women. Women's rights, she argued, "are universal values which we have a responsibility to promote throughout the world, and especially in a place like Afghanistan." Those are the words of a liberal hawk, a label that may no longer fit Biden so snugly. Whatever doubts he may be expressing, Biden doesn't support giving up on Afghanistan entirely. "He is not for withdrawal," says a senior White House aide. Nor is he the only person in either the White House or the military to doubt the wisdom of escalation; rather, the debate involves "a continuum" of opinions, according to another senior aide. Indeed, it seems entirely possible that Obama will eventually come around to Biden's way of thinking. Just don't expect another "Johnny come lately" press release if he does.